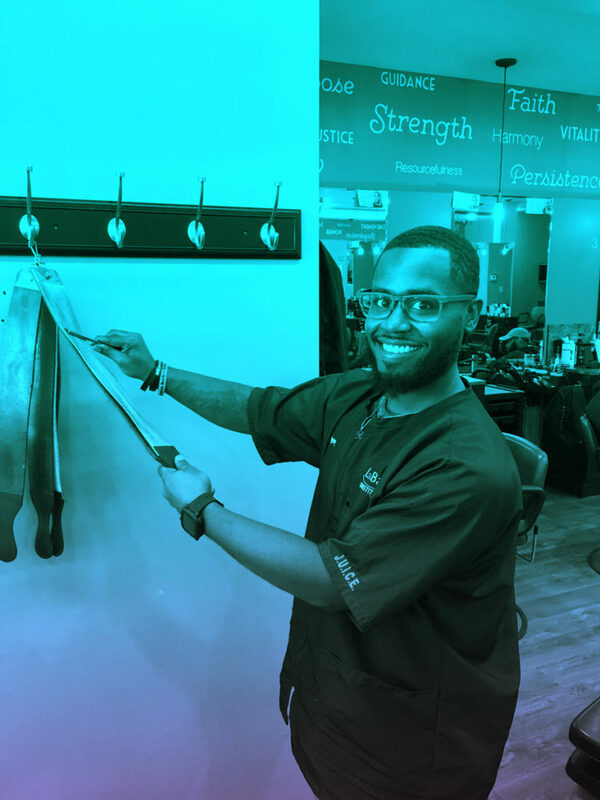 LaBarberia Institute of Hair, the Cleveland Barber College, has been recognizing our students with a monthly spotlight for their talents, ambition, and hard work. During the month of April 2019, we would like to acknowledge Gregory Besley. Gregory attended college at Bowling Green State University where he was studying electronic engineering. Gregory first got into barbering by cutting his own hair. While he was a freshman at BGSU, he saw his hobby turn into a passion. He would often practice on others and began making money off cutting friends’ and classmates’ hair. He enjoyed helping people and making them look good. After being in school for a year, Gregory’s grandmother became very sick and he came home to help her. While at home, Gregory started as a dental assistant. He later worked as a home aid for seven years. He was unsure what career path he wanted to choose. He remembered looking at LaBarberia years ago, however, he thought that he lacked the personal confidence needed to become a barber. After letting nature take its course, Gregory found himself interested in becoming an official barber again. He decided to come to LaBarberia Institute of Hair for this opportunity. Gregory compares barbering to engineering, saying that each client is unique and that you have to plan the techniques you want to apply. He does not see barbering as financial gain, but rather as a sense of achievement. He loves helping out the community and making people happy. “People’s feelings matter.” Gregory loves each connection he makes with his clients. He also loves helping the less fortunate. Gregory believes that LaBarberia is a challenge, but it really helps you learn. He loves the opportunities that they offer, such as his recent “East Clark Elementary Cut-a-thon” participation where he once went to school. After graduating from LaBarberia, Gregory hopes to run his own shop one day. He would love to give back to the community and help those who really need it.